The Mediatrix 3631 has been discontinued by the manufacturer. To find similar products, please visit the Mediatrix Web Page . For more information or if you have questions, please call 800-398-8647. 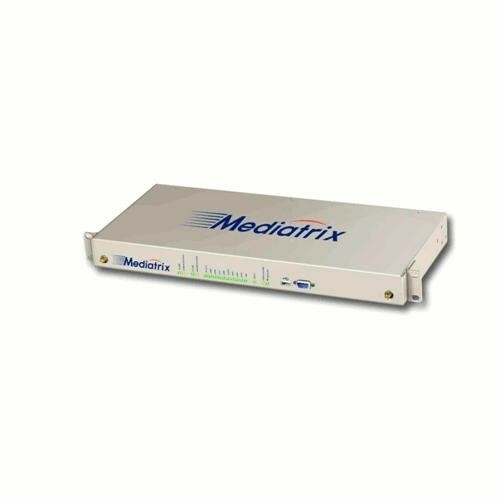 The Mediatrix 3631 is a single PRI (E1/T1) digital gateway, which allows enterprises to lower communications costs over any IP link. 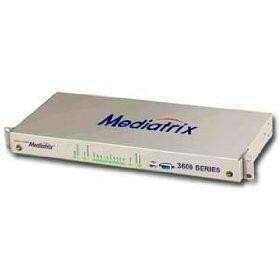 The Mediatrix 3631 is a multi-function device combining VoIP IAD and Gateway in a flexible and powerful platform. It applies to SIP Trunking, PBX IP Trunking, and PSTN access for local VoIP equipments solutions. The Mediatrix 3600 Series also allows Carriers, Service Providers, and System Integrators to deploy secure systems and generate additional revenue streams. Designed specifically for enterprise applications, the Mediatrix 3600 Series VoIP gateways make use of existing broadband access equipment to connect to any standards-based VoIP network. The Mediatrix3600 Series gateways meet the requirements of enterprises that want to connect their ISDN equipment, such as PBXs, through a E1 PRI interface to an IP network or as a gateway to the PSTN. Deployable in SIP VoIP networks. Security features: SNMPv3, SSH, HTTPS. Hardware ready and capable to support SRTP and SIP over TLS. Proven voice algorithms implemented on dedicated DSP engine for enhanced voice quality on each interface card. Fax over IP support, including T.38. Didn't find the VoIP Gateway that you were looking for?